This snow-covered Flocked Glacier Needle showcases the long pine tips that give it a whimsical winter look. 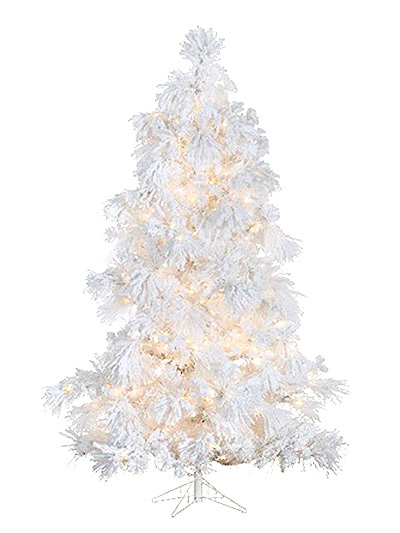 This tree features Staylit lights, which keep shining even if a bulb burns out or breaks, for extra durability. *Flocked Glacier Needle 7.5 Feet pictured. 100 replacement lights are included with each tree.